Over the years, we’ve gained a bit of name for ourselves as a wedding jazz band in Devon. Silk Street Jazz travel far and wide to bring a dash of good old-fashioned entertainment to weddings around the nation, and we love descending on this radiant county for an occasion we’ll always remember. With summer just around the corner, we’re already polishing up our brass and straightening our bow ties ahead of wedding season. And it’s making us a little bit nostalgic about some of the great events we’ve had the privilege of playing in 2016. For starters, we couldn’t have picked a better venue for a wedding. 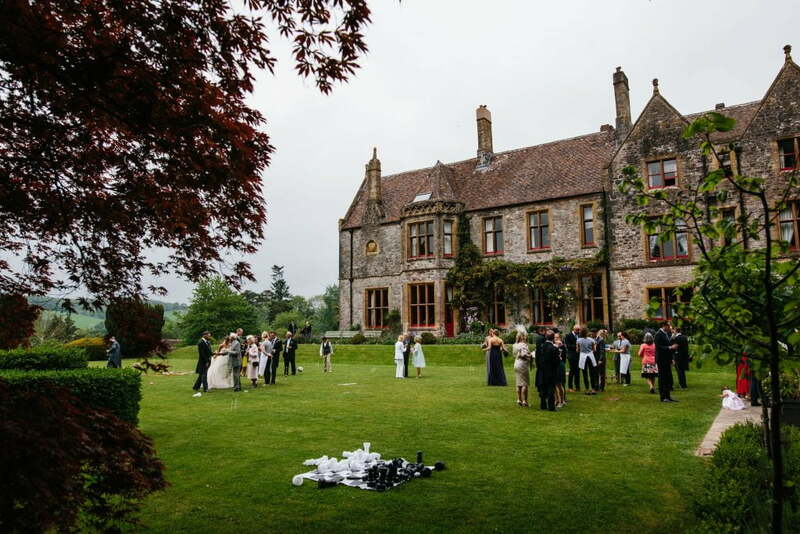 A magnificent country house in the heart of Devon, Huntsham Court truly is a sight to behold with its sweeping grand entrance, period façade and high ceilings. It was a pleasure to see such a diverse age range at the wedding – we love family-friendly receptions, as it allows us to bring adults and kids together for a royal knees-up. 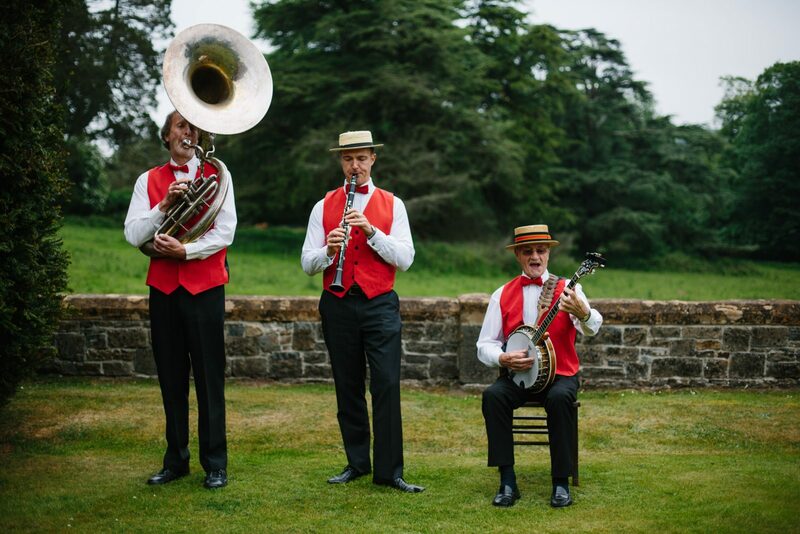 As our guests enjoyed croquet, giant chess and glasses of fizz, we sprung to life on the tuba, clarinet and banjo. The beauty of live band hire is that we’re mobile; over the course of the afternoon, we performed in different areas of the garden, adapting to the mood of our audience. Against the immeasurably lush backdrop of the house, it was a perfect way to usher in the marriage of the happy bride and groom! The best wedding jazz band in Devon? So there you have it: a taster of how Silk Street Jazz can slot into your special day, and set the scene for revelry – inside, or out! 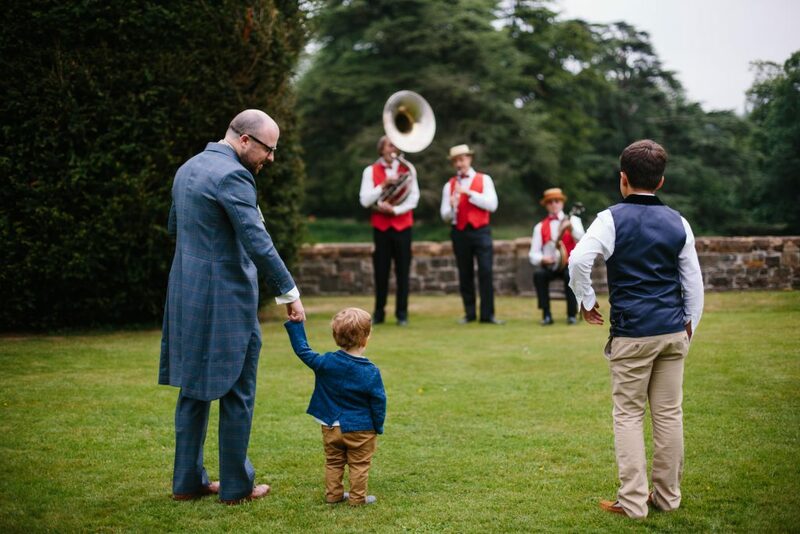 We loved performing at Huntsham Court (captured by the very talented Helen Abraham) and we can’t wait for this year’s wedding season to get in full swing. Looking for a wedding jazz band in Devon to bring the soundtrack to your reception? Discover what makes our musicians such a popular choice for weddings in the region – browse our website, or call 0800 756 5512 to have a chat with our team.